The Ergo Master® offers an ergonomic manufacturing solution that’s ideal for just about any shop floor. 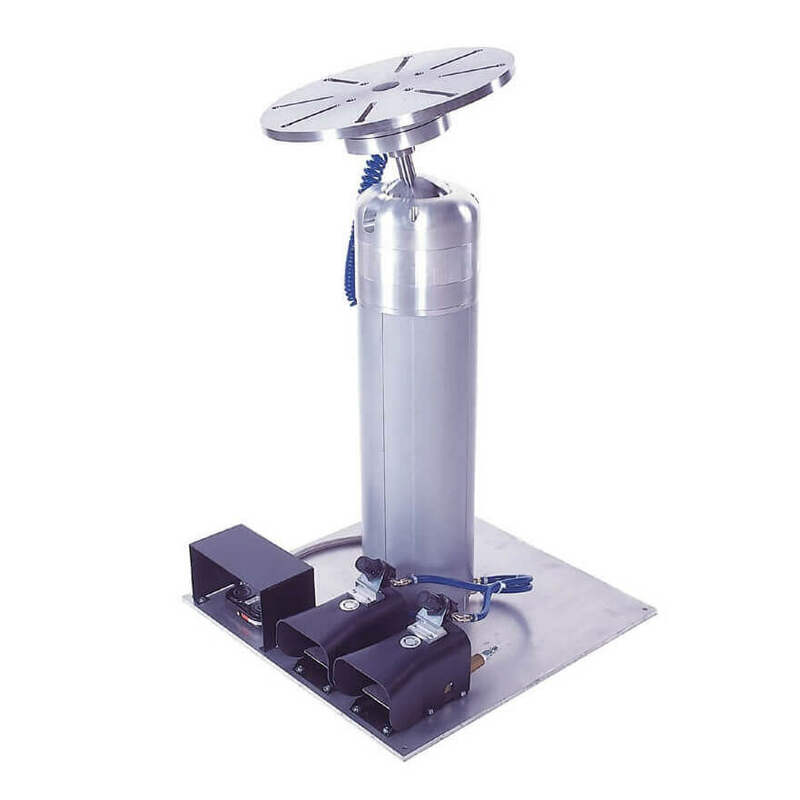 This manual work positioner easily adjusts work to a full 360º rotation, up-to-a 90 degree tilt and variable height adjustments for either stand-up and sit-down operations. The multi-axis flexibility of this work holder makes the Ergo Master® the smart choice—no matter the application, object shape or work fixture. 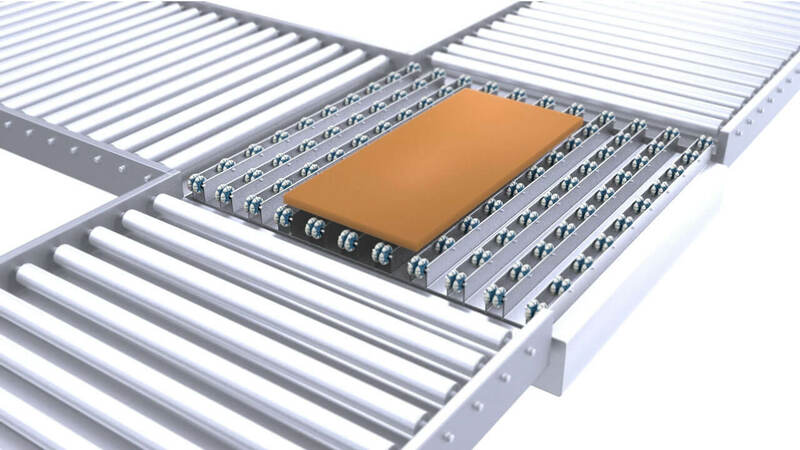 The adjustable friction resistance assures a smooth transition between positions without the need to brace work through personal strength or endurance.This robust positioning unit fosters a safer, more comfortable and productive work environment, while limiting the potential for costly shop floor injuries. 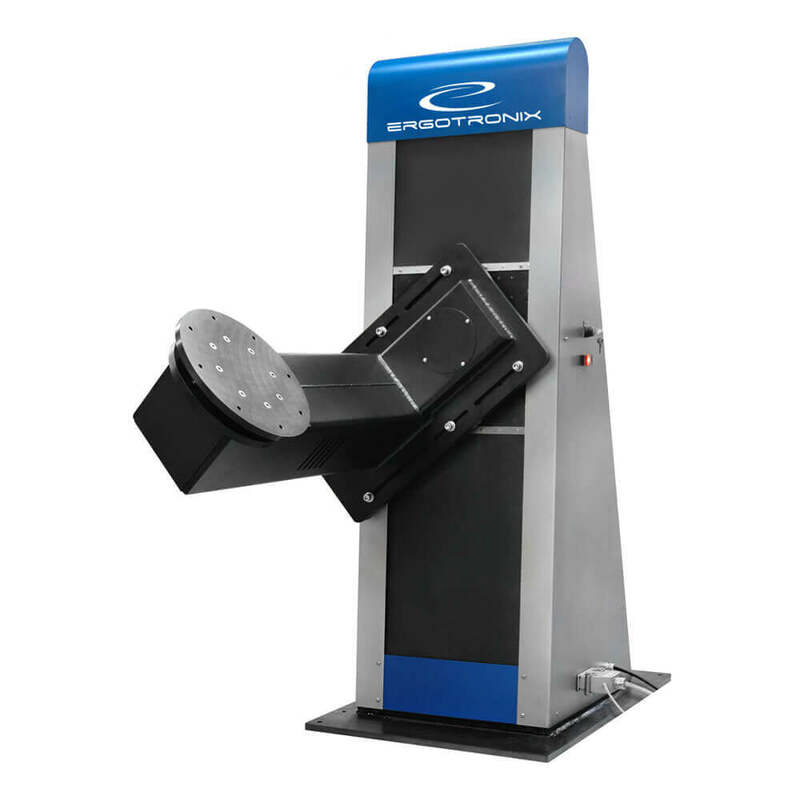 The Ergo Master® is available in a variety of multi-axis positioner configurations, from a bench mount (2-axis) to floor mount (3-axis) configuration in 50-, 150- and 300-pound load capacities. … we have within a short period been able to achieve improved efficiency, productivity, quality and safety. It’s simply a great machine. Welding seams on nickel alloy exhaust ducts used on helicopters can be awkward. To hold and position these ducts and to get access for welding from any direction used to be a challenge. Today, the Ergo Master® work positioner enables easy manipulation to any suitable work position. The weld team is happy and we have within a short period been able to achieve improved efficiency, productivity, quality and safety. It’s simply a great machine. 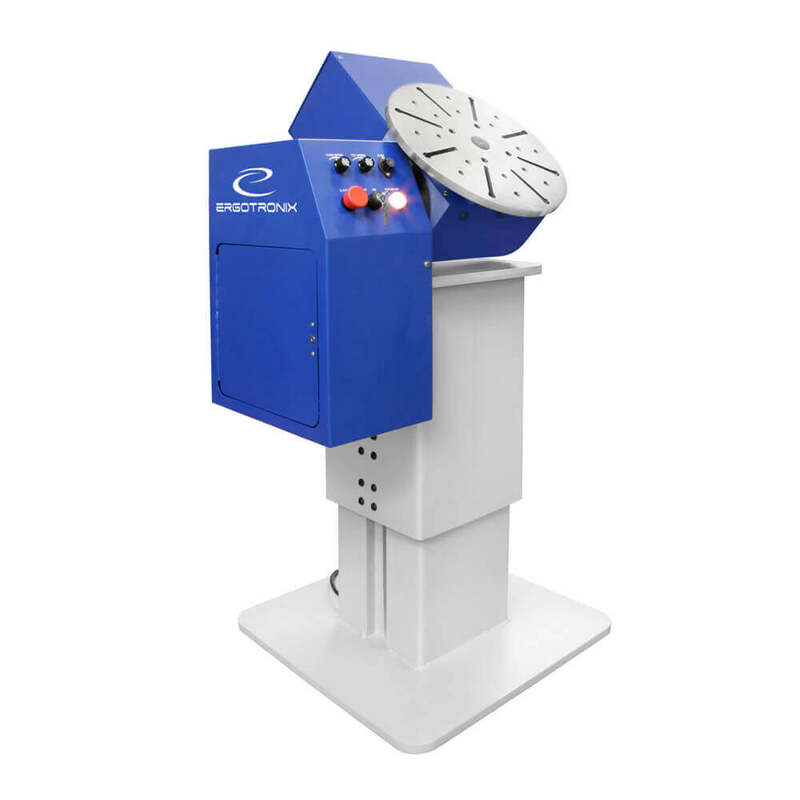 The Ergo Chief® by Ergotronix is a versatile motorized multi-axis work positioner that offers variable speed, bi-directional turntable rotation, tilt and work height adjustment for workloads up to 400 pounds. This sturdy Ergo Chief® work stand easily adjust work to a full 360º rotation, up-to-a 90 degree tilt and a variable height adjustment for either a stand-up or sit-down operation.Both left-handed and right-handed operators find the Ergo Chief® bi-directional, variable speed rotation direction easy to use, as it provides an effortless and accurate rotation function. 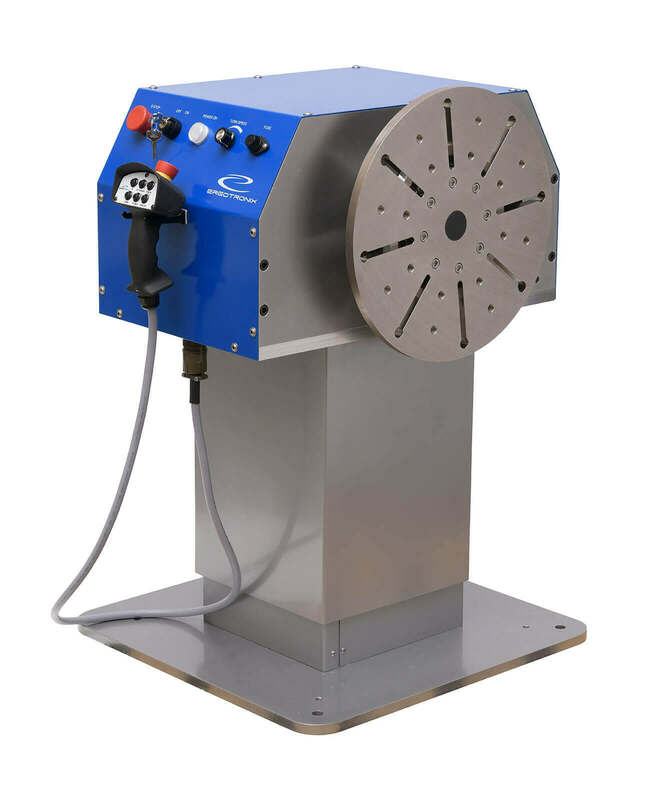 An optional rotary ground system further promotes the Ergo Chief® as a powered welding positioner. All position adjustments, to desired work height, tilt and rotation angle, are either hand pendant or foot pedal controlled by the operator. The turntable’s top mounting plate features eight concentric radial channels for easy object fixturing. 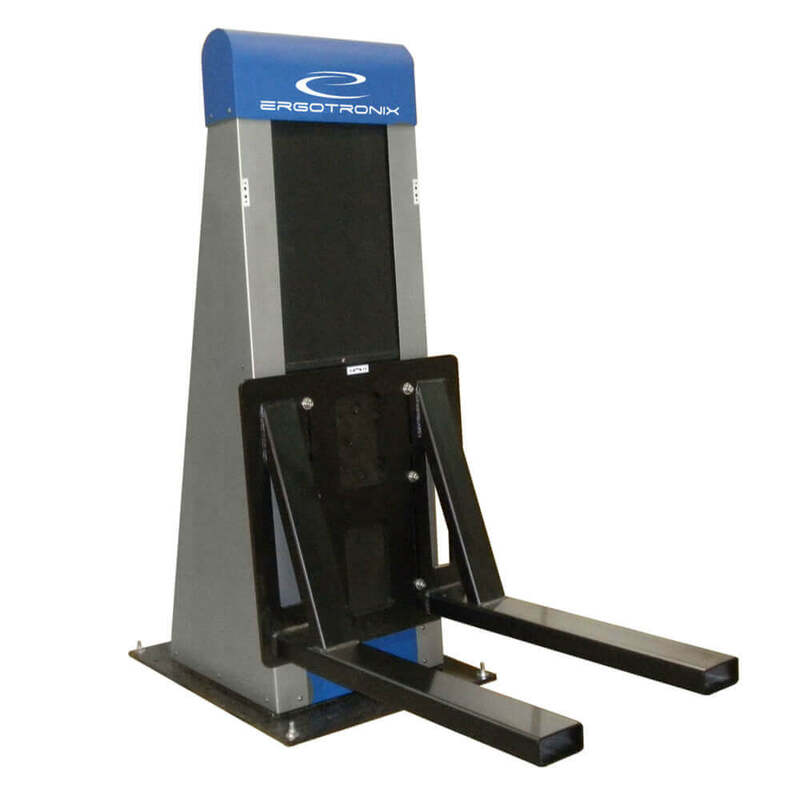 Ergo Chief® is one of many Ergotronix work positioner solutions made in the U.S.A. Every detail is engineered for factory-tough durability, with cutting-edge ergonomic principles in mind. We have used the products for years without any maintenance. They last. In our daily production, we use the Ergotronix products to hold and manipulate motorcycle parts into ergonomically convenient work positions. We have used the products for years without any maintenance. They last. Ergo Force® by Ergotronix is the perfect choice if you’re looking for a versatile motorized multi-axis positioning of any object—including the ability to turn it up-side down. The Ergo Force® work stand enables smooth and reliable positioning of work to any desirable work position. With a L-shaped arm and unlimited turn and tilt angle rotation, access to any work surface is comfortably and safely available. 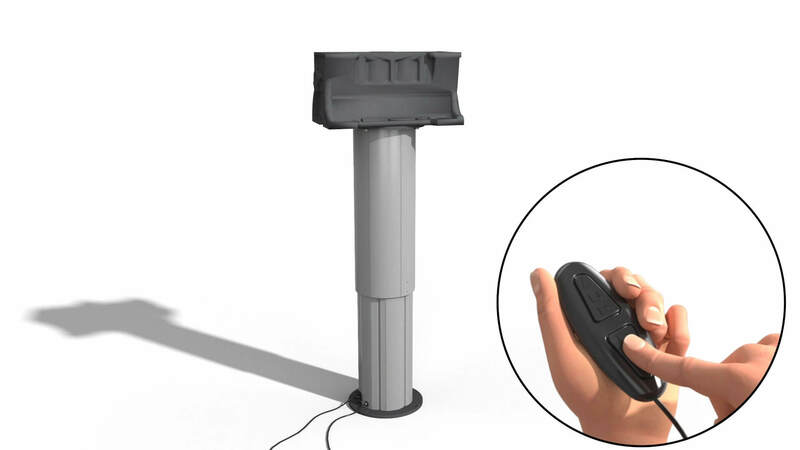 All position adjustments to desired work height, tilt and rotation angle, are controlled from hand pendant. Tilt and rotational speeds are all easily adjustable. 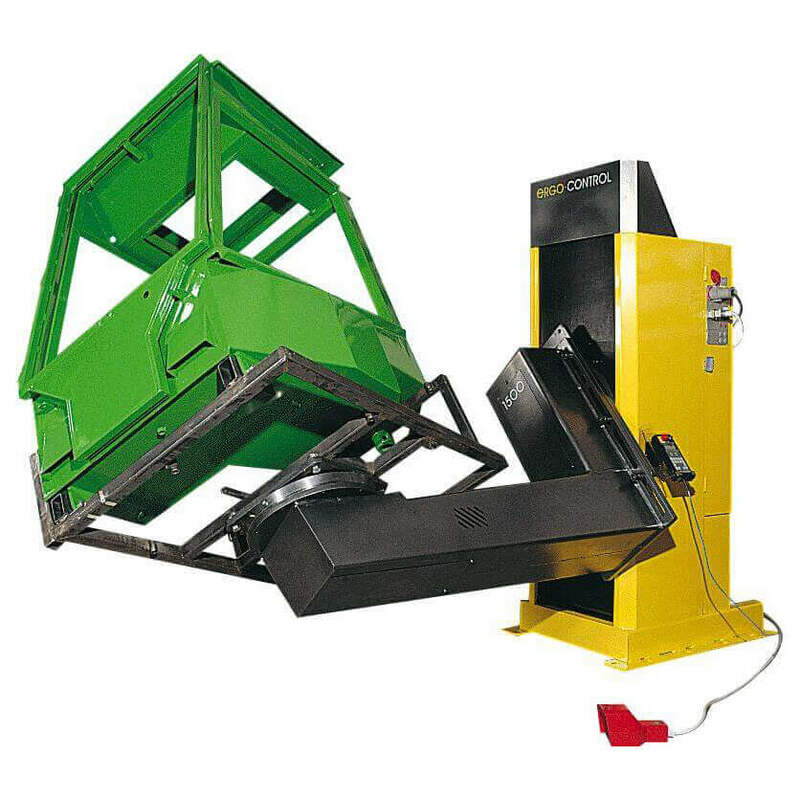 This versatile motorized work positioner solution is made in the USA to effortlessly manipulate loads up to 600 pounds. 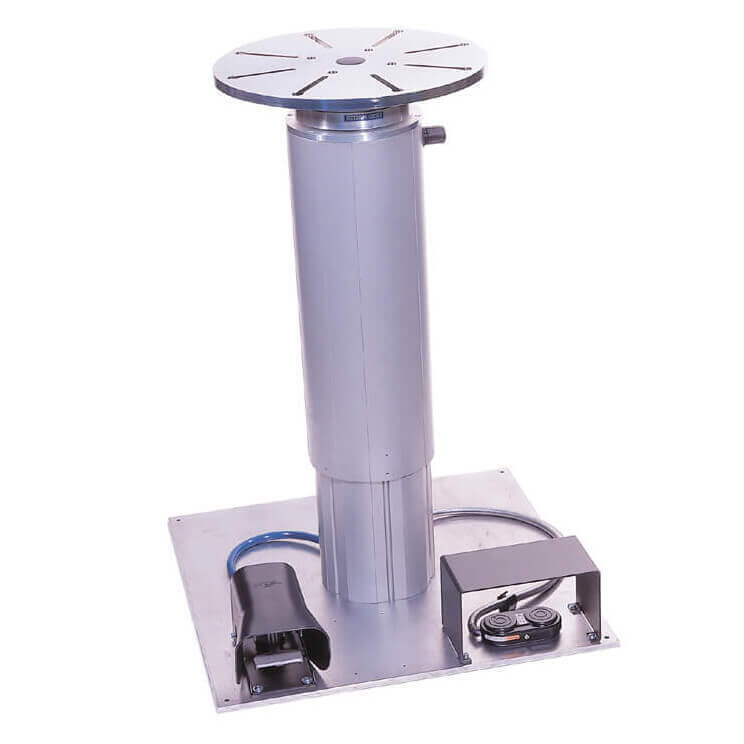 The Ergo Force® provides an optimal motorized positioner solution for any industry, shop or work area. I highly recommend Ergotronix to any company looking to build or develop this type of custom devices. 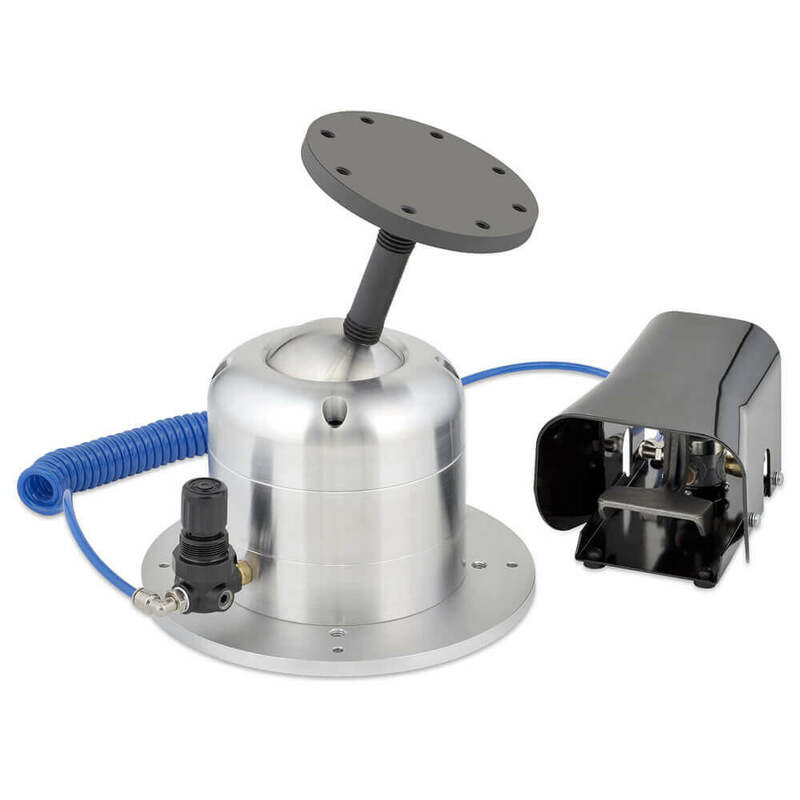 We worked with Ergotronix to develop and implement six new custom lift and rotating devices. The project went very smoothly due to their exceptional personal attention and commitment to service. I highly recommend Ergotronix to any company looking to build or develop this type of positioning devices. 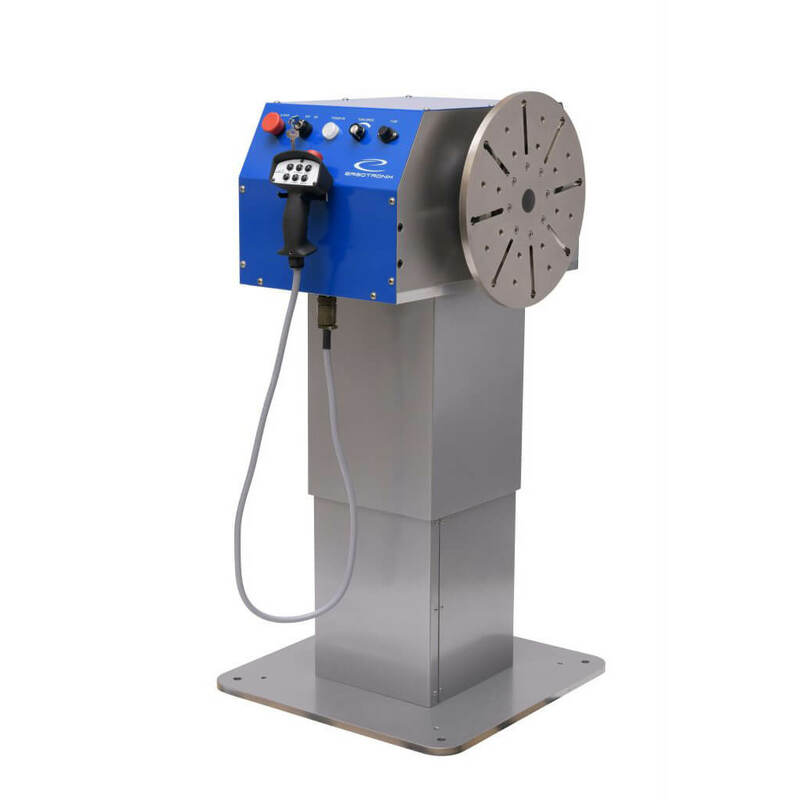 Built-in 400A rotary ground system for welding applications. 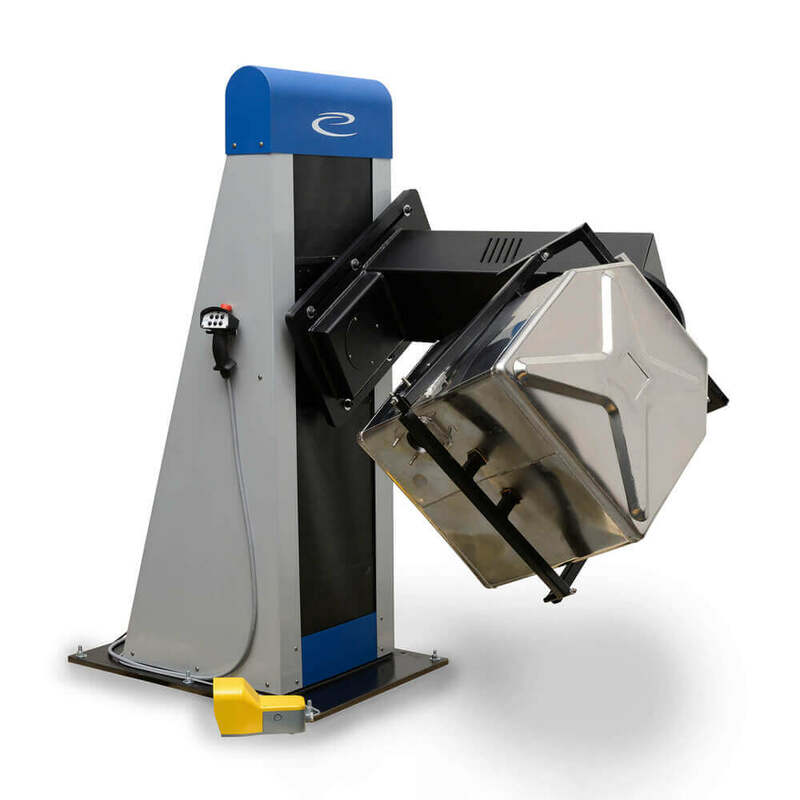 Ergo Control is a versatile family of heavy-duty programmable work positioners, that deliver superior individual operator positioning for any production run. With its large program storage capacity, the Ergo Control provides the user an optimized task sequence for each work piece or individual operator need, while providing the very best ergonomic work position. The simple to use, “teach” programming, allows a fast learning curve, short production set-up time and fast payback. The L-shaped arm, with unlimited turn and tilt angle positioning, offers easy reach of any work surface without strain—even allowing turning it up-side-down. 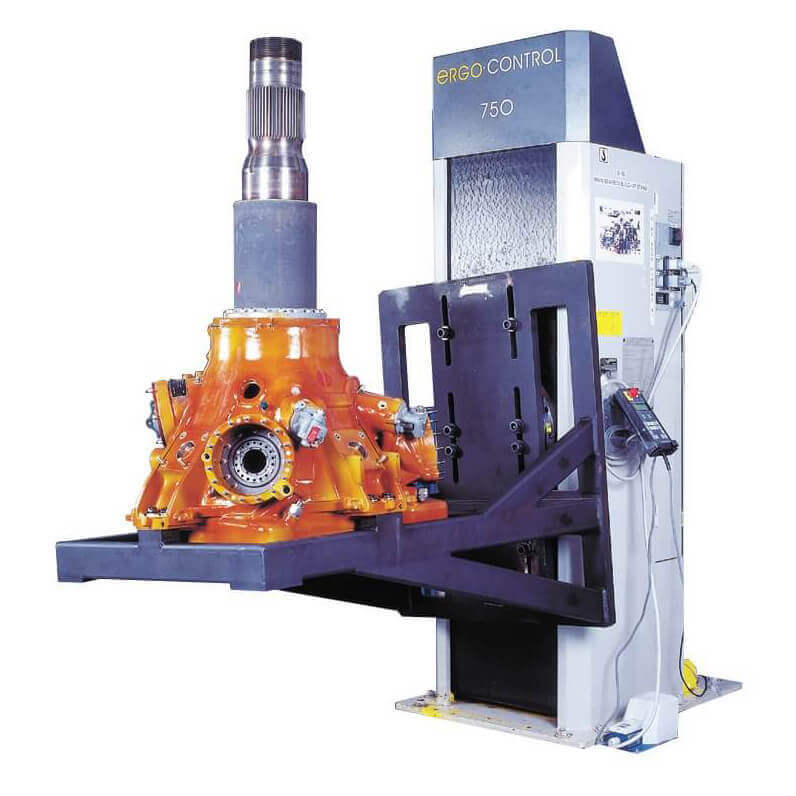 Available in two-and three-axis standard configurations, in workloads form 660-to 17,600 pounds, the Ergo Control is suitable for any rigorous work shop, where awkwardly shaped, large and heavy objects needs safe positioning. 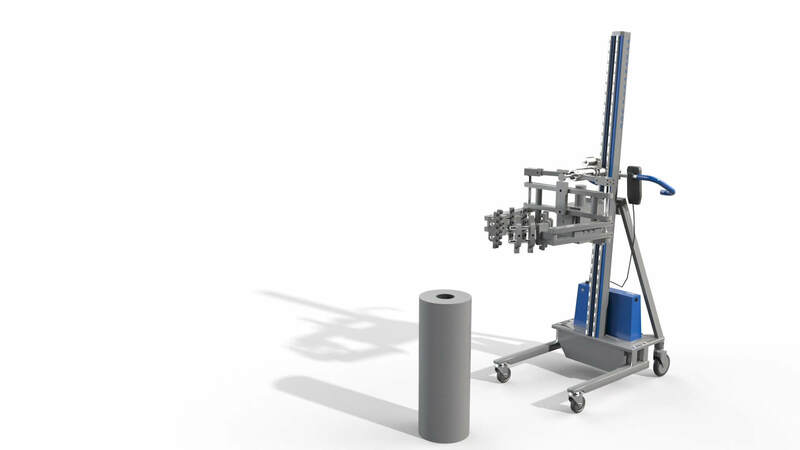 The Ergo Control line of programmable work positioners by Ergotronix allows your employees operating in a safer, more comfortable and more efficient workplace. The original operation required up to four mechanics. Today the task can be performed with just one operator. Applying Ergotronix positioning devices have been proven to be a huge success at Sikorsky. The original operation required up to four mechanics. Today the task can be performed with just one operator. One operator stated that this product is one of the best tools he uses within the entire company. The U.S. Army Corpus Christi Depot, one of the largest rotary-wing repair facility in the world, have to handle some very heavy objects and loads, weighing tons. 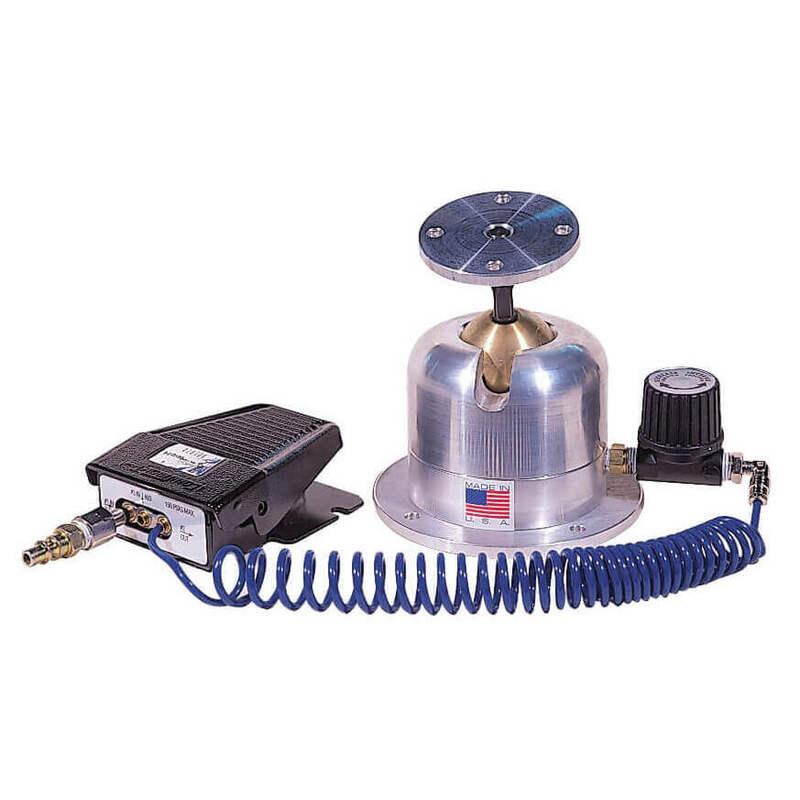 The Ergo Control has proven to be extremely reliable, very adaptable, and our operators love working with them. Please sign in to request files.